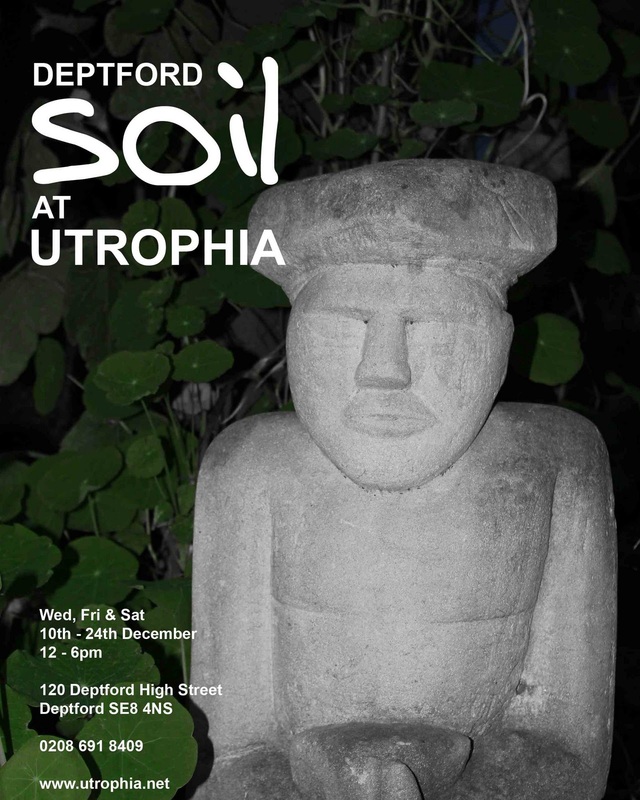 Utrophia's next show ‘Deptford Soil’ is an exhibition of work by local artists affiliated with the McMillan Herb Garden, a non-profit organisation which runs creative workshops for young people in the Deptford area. 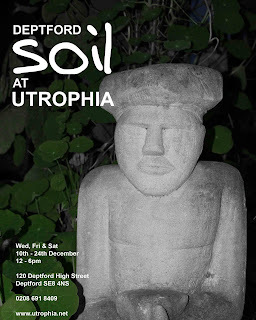 This exhibition celebrates different aspects of Deptford culture and illustrates the personal creative processes born from residing in SE8. Exhibits are not confined to reflecting the physical nature of the area, or the people who inhabit it, but also explore individual responses to the greater world community through art, music and design. A series of events accompany the exhibition, to ease you gently (or perhaps not so gently) into the christmas spirit. A split screen with live sound track from Rabbit.